The National Bank of Ukraine (NBU) has issued a refinancing credit of UAH 200 million to Prominvestbank (PIB, Kyiv), the regulator said on its website. According to the report, the decision was made on December 9, 2015. The credit was issued with Ukraine's government bonds used as collateral for the period of over 30 calendar days. As reported, on December 10, 2015, the shareholders in PIB decided to increase its charter capital by 2.1 times or UAH 20 billion, to UAH 39.009 billion via an additional issue of shares. Prominvestbank was founded in 1992. Its largest shareholder on October 1, 2015 was Vnesheconombank (Russia, 99.39%). 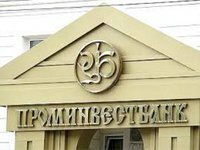 PIB ranked fourth among 123 operating banks in the country on October 1, 2015 in terms of net assets (UAH 55.885 billion), according to the National Bank of Ukraine.